We, "Manish Scientific Instruments Co." have gained the faith and trust of our customers with time. Our products are highly desired in the market and they are categorized under R&D Instruments, Industrial Lab Equipments, Laboratory Testing Instruments, General Lab Instruments, Heating Equipments, Microbiology Lab Equipments, Analytical Instruments, Pathology Lab Instruments, Concrete Testing Equipments, Hydrology, Meteorological and Soil Department Instruments. We have developed our products in a manner that they can provide maximum output at minimum operating and maintenance costs. Our excellent client management policies have helped us in expanding our global list of clients. Most of our customer base is located in the Indian Subcontinent, East Asian, Middle East and South East Asian regions. We test our products on stringent parameters in order to ensure optimum quality, output, performance and usage. Our quality controllers and supervisors take care of the fact that only defect free products reach the market and they are thoroughly tested from the time of manufacturing till ultimate delivery. We are looking for queries majorly from South India like from Tamil Nadu, Kerala, Karnataka & Andhra pradesh. We offer an assortment of Scientific Instruments and Equipments. Our products have completely flooded the market and our range includes Autoclaves, B.O.D. Incubators, Deep Freezers, Fume Exhaust Hoods and High Temperature Furnaces. 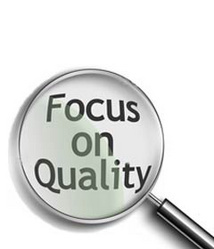 Plus, our quality experts consistently check them on ISI parameters to offer flawless range to our clients. Our product range also consists of Hot Air Ovens, Hot Plates, Humidity Cabinets, Laminar Flows, Muffle Furnaces, Salt Spray Chambers and Water Bath. Furthermore, additional products include Spectrophotometer Microscopes, Lab Plastic & Glassware, Projectors, Balances, Chemicals, Physics Apparatus, pH & Conductivity Meters and Stirrers & Shakers. On account of the combined and excessive efforts of our team members, we have enhanced the production of defect free range of Scientific Instruments and Equipments. Our diligent professionals have sound knowledge regarding the market and it’s highly useful for our complete manufacturing process. Moreover, we follow excellent client management policies and maintain cordial links with them. We always follow their detailed instructions and drawings and are thus able to fulfill their demands. Our mission is to always stand up to clients’ expectations and enhance our client base at the global level. We have shown unprecedented growth within a short period and we boast of complete client satisfaction. Our talented professionals and management team is highly concerned with improving our product range and we aim to cater to other fields and domains also. We have excelled in the market as a client centric organization and our motto remains to offer our clients unparalleled quality range. With proper backing from our highly capable team and well-equipped manufacturing facility we can design and develop our products as per the dynamically varied industry standards and clients’ specific needs and instructions. Moreover, features such as timely delivery, superior quality product, customized solution and competitive prices have helped us in gaining a lot of clout in the market. We have established a firm base in the market and have excellent contacts with vendors, distributors and customers.’ We are highly renowned for using fine quality materials and technology during the manufacturing procedure. Plus, our professionals have detailed knowledge regarding the market and we always strive to work according to clients’ varied needs. We have shown outstanding growth and customer satisfaction remains our top notch motto till date. Our fabricated products are in complete accordance with the most updated market trends and specifications provided by the clients.